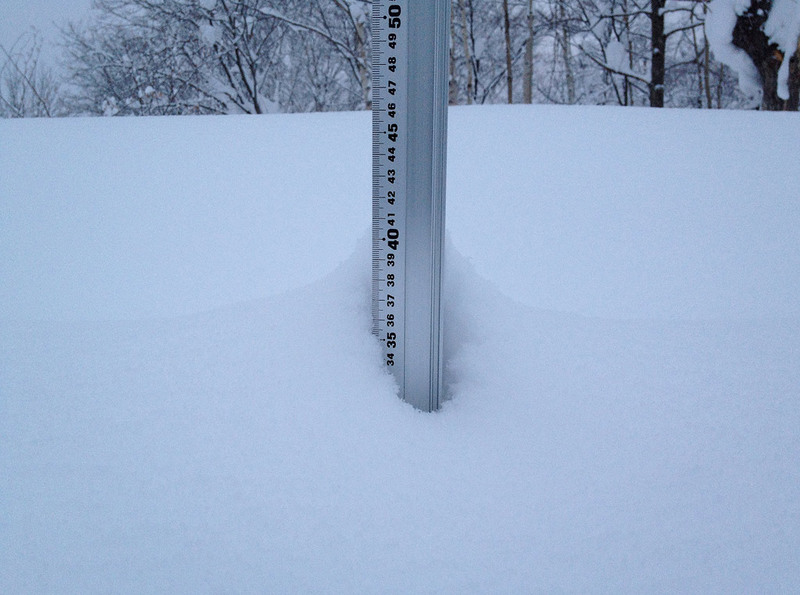 *12.5cm of fresh snow has fallen since yesterday morning and at 7:30am today the temperature was -9°C. The calm overcast weather looks set to continue for the next 6 hours. Yesterday the upper lifts through out Niseko United were all suspended due to the strong winds so today getting up high will be the best call. It is doubtful that the peak will open so we will head into the gullies looking for wind blown stashes in Waterfall and Miharashi before heading over to Niseko Village. Yesterday we didn’t quite make it to Moiwa but instead headed over to Annupuri Ski Ground where the conditions were great out of Gate 7. Afterwards we headed out to Yukichichibu for a much needed hot onsen.